real estate but the stats about their success isn't so good. For example, one study shows that the dropout rate for new agents during their first five years in business is nearly 87%. That means that just 13% are successful. So, what's the difference between the winners and losers. Well, it comes down to leads...you have to have a constant, abundance of them, which is where this page comes. It offers some Free to No Cost Online Real Estate Lead Generation Ideas that you can implement fast. There's no real reason to wait even a day to implement some of them and perhaps over the next week or two you could implement all of them. Ready to get started? Let's do it! "The difference between a successful person and others is not a lack of strength, not a lack of knowledge, but rather a lack of will. 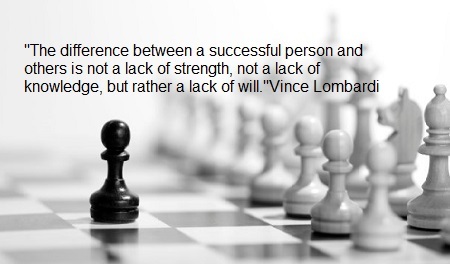 "Vince Lombardi. Here are Five "Go To" ideas for your real estate marketing toolkit. Do something towards these activities on a daily basis and if you can't execute all of them right away do the ones you can... add the others later. Let's assume you have strength of character and with the information on this page you'll have the knowledge; but do you have the will to succeed in generating online leads. The following ideas are applicable to all agents, irregardless of their length of time in the business, or size of their marketing budget, which for many isn't very much. Enjoy! Email Signatures - A good beginning to generating online real estate leads is via the simple act of putting your signature containing a link to your web site in all your email messages...and it won't cost you anything. Pay Per Click Advertising - You can use pay per click advertising to generate online real estate leads and drive traffic to your website. It’s effective, but potentially very expensive. Google Adwords is the heavyweight in the game. Real Estate Web Site Leads - Once upon a time it cost a lot to run a website. Fortunately, those days are long gone. Real estate web sites are more affordable than ever and can generate a lot of free, organic traffic. 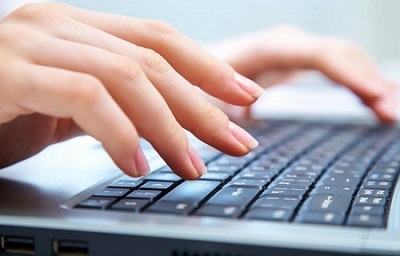 Real Estate Marketing Report Leads – Pre-written Real Estate Marketing Reports can be used for a multitude of purposes; including as web site content pages, articles, online buyer and seller reports. Thinking about buying leads? Then these companies might be of interest. Zillow & Trulia – Zillow is a power player in Online Real Estate Lead Generation. With them you can engage millions of home shoppers on the largest real estate network on the Web for high quality leads. SmartZip - 4000 agents use SmartZip for leads in their farm & sphere. It recently released predicted turnover and commission potential in every neighborhood in the country. Visit to find out if you’re farming the best area? Hoovers –A Core Feature of Hoovers allows you to specify exact criteria you’re looking for and to get in touch with the right people for high level engagement about their buying and selling needs. Bold Leads –Bold helped thousands of agents generate over 800,000 buyer and seller leads last year. It offers Unlimited Landing Pages, Expert Ad Management, Automated Lead Follow Up, Daily Training, and more. Market Leader - Market Leader’s HouseValues.com offers homeowners free, personalized comparative market analyses (CMAs) of their properties. Their information is then passed straight to you! That’s it for now. Here’s to your Online Lead Marketing Success.